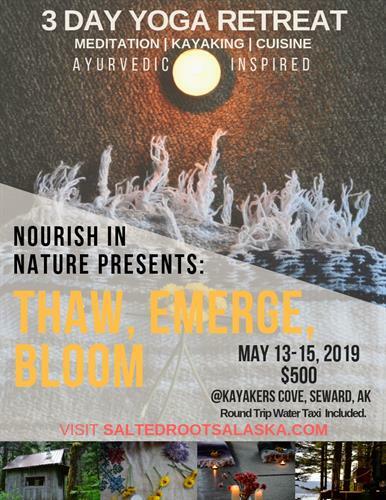 Salted Roots Alaska | Yoga - Seward.com - Alaska Starts Here! Community Refuge coming soon to Lowell Point, with cabins, yoga, and events. Currently hosted seasonal Ayurveda-inspired retreats, combining elements of yoga, cuisine, hiking, and kayaking into an community experience of inner and outer exploration at Kayakers Cove.